You can download Axe Electrum from the official Axe website or the Axe Electrum minisite. Axe Electrum is developed by community member akhavr and is released through his GitHub account. Simply download and run the DMG file. You may need to grant permission to install, depending on your security settings. 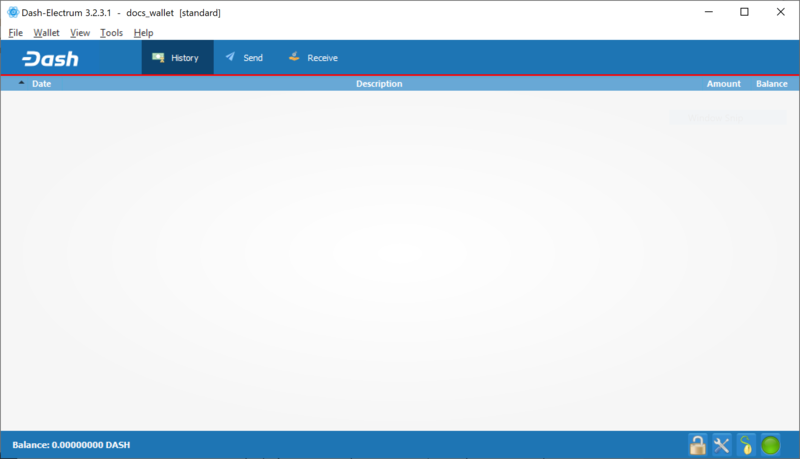 Click through the installation wizard and run Axe Electrum from your Applications folder when complete. Simply download and run the installer file to set up Axe Electrum. You may need to grant permission to install, depending on your security settings. Click through the installation wizard and run Axe Electrum from the Start menu when complete. Download and run the APK file from https://electrum.docs.axerunners.com to set up Axe Electrum. You may need to grant permission to install from unknown sources, depending on your security settings. 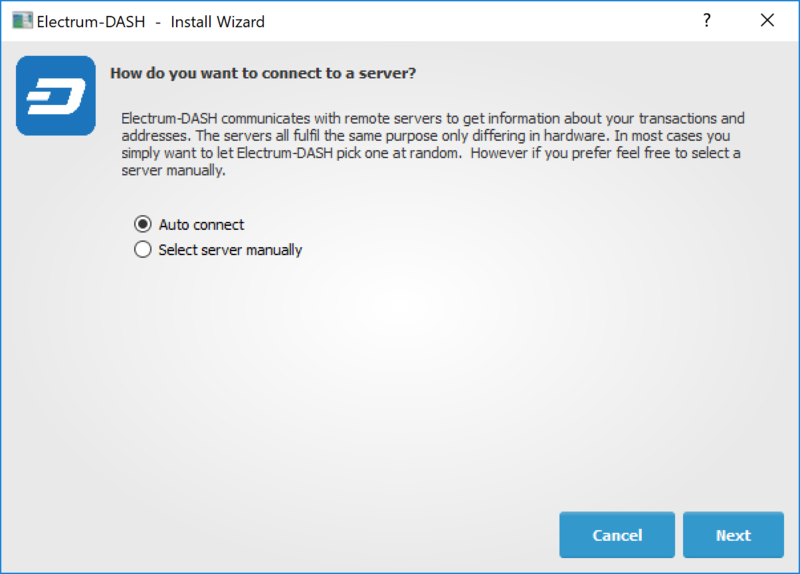 Click through the installation wizard and run Axe Electrum when complete. Axe Electrum gathers configuration data when run for the first time. For more on the concepts behind this process, skip to the later sections of this guide discussing backups, security, and addresses. 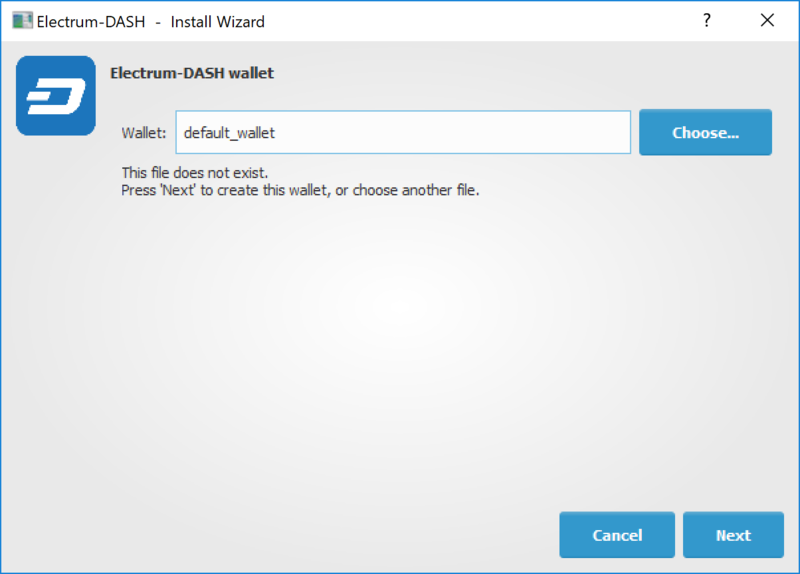 When setting up Axe Electrum for the first time, a wizard will guide you through the process of creating your first wallet. The first screen asks how you would like to connect to the remote server. Select Auto connect and click Next to continue. You will see a notice that no wallet currently exists. Enter a name for your wallet (or accept the default name) and click Next to create your wallet. 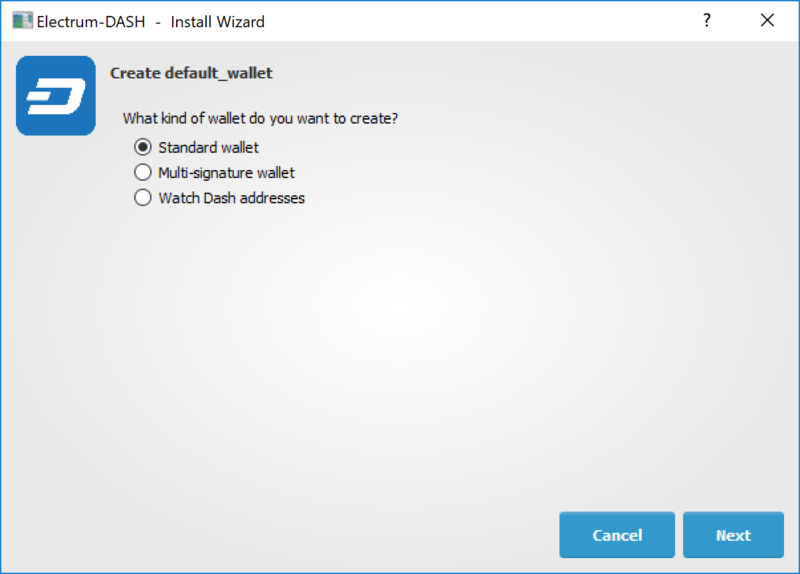 You will be asked what kind of wallet you want to create. Choose between Standard wallet, Multi-signature wallet and Watch Axe addresses. If you are unsure, select Standard wallet and click Next to continue. You will then be asked how you want to store/recover the seed. 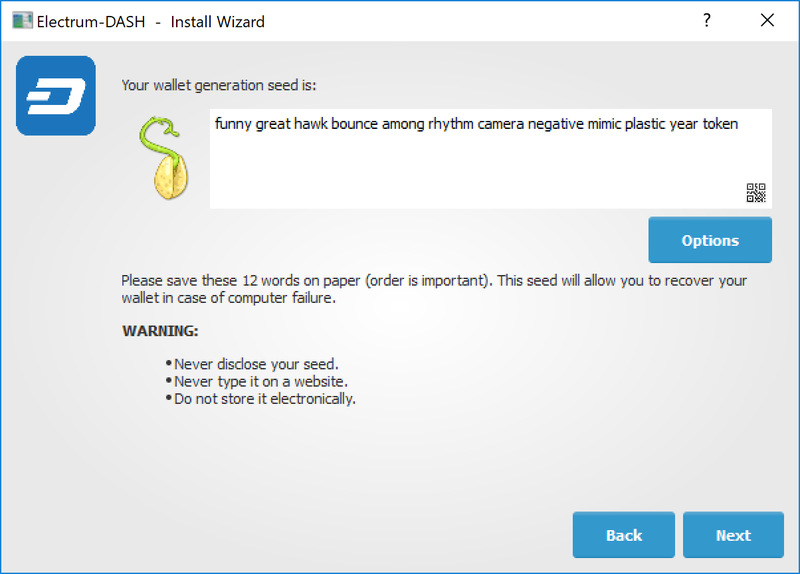 If stored safely, a seed can be used to restore a lost wallet on another computer. Choose between Create a new seed, I already have a seed, Use public or private keys or Use a hardware device. 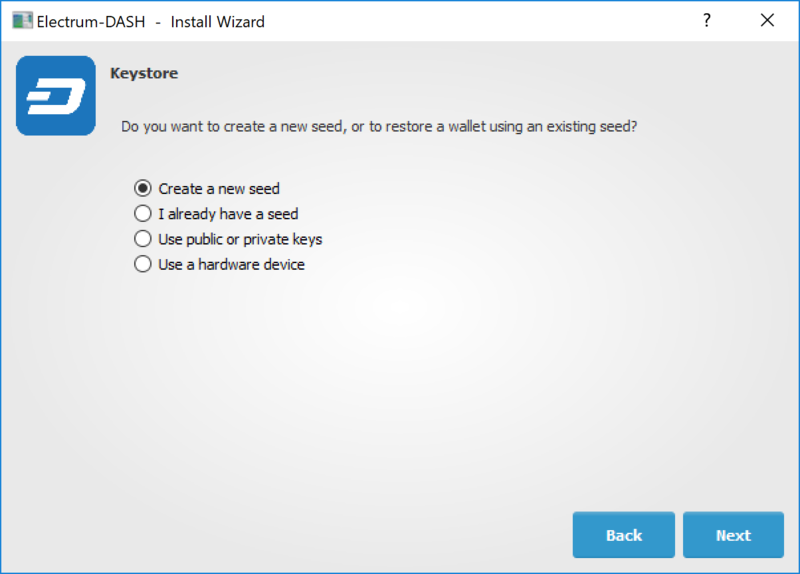 If you are using Electrum Axe for the first time and not restoring an existing wallet, choose Create a new seed and click Next to continue. Electrum Axe will generate your wallet and display the recovery seed. Write this seed down, ideally on paper and not in an electronic format, and store it somewhere safe. 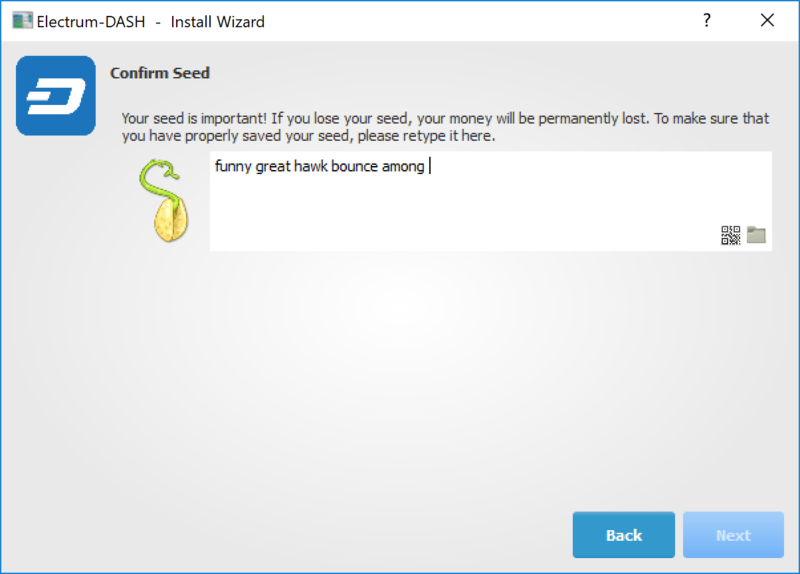 This seed is the only way you can recover your wallet if you lose access for any reason. To make sure you have properly saved your seed, Electrum Axe will ask you to type it in as a confirmation. Type the words in the correct order and click Next to continue. A password optionally secures your wallet against unauthorized access. Adding a memorable, strong password now improves the security of your wallet by encrypting your seed from the beginning. Skipping encryption at this point by not selecting a password risks potential theft of funds later, however unlikely the threat may be. 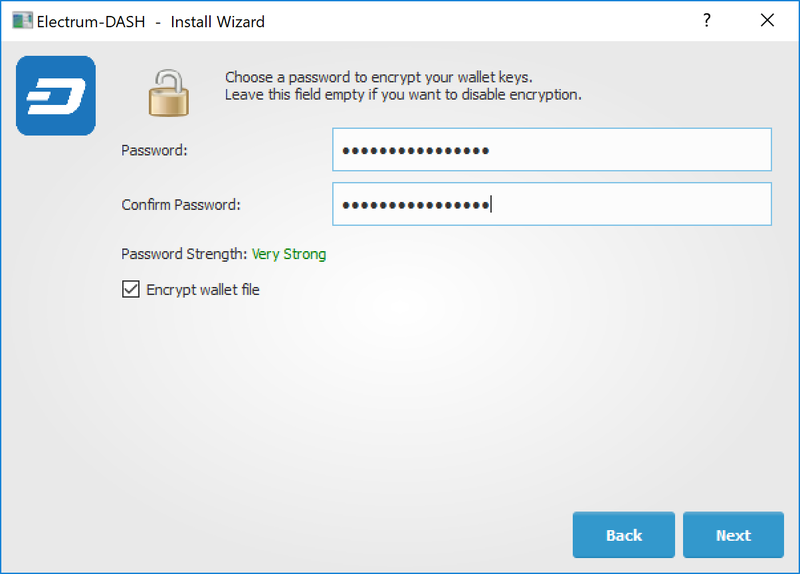 Enter and confirm a password, ensure the Encrypt wallet file checkbox is ticked and click Next to continue. Your Axe Electrum wallet is now set up and ready for use.